Here we have an individual doing a swap for the pure satisfaction of doing it. Why add a 2JZ into a Pontiac Solstice? Because no one has done it. One positive is the 2JZ mounts directly bolt to the Solstice body mounts. Also the factory transmission will bolt directly to a 1JZ-GTE R154 bellhousing. 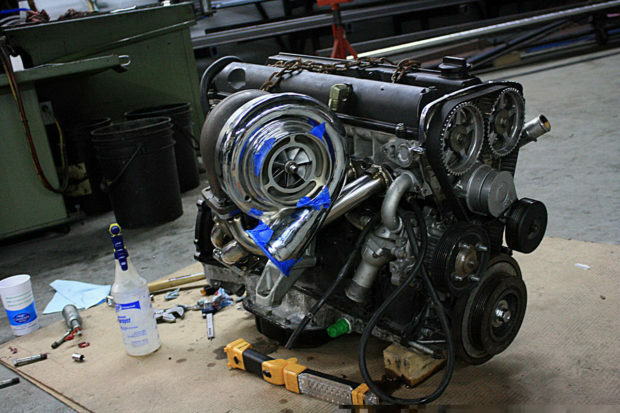 The owner is aiming at for at least 650 horsepower from the engine with the help of a Borg Warner S372 turbocharger. There is still many issues in need of a solution such as cooling. The location, type, and size of intercooler is still being worked out, as well as some other front end components.